(10-30-2018 11:16 AM)Old Dominion Wrote: They won't. Probably not. We will probably get to see the football stuff before the end of the year. Go through that process. Then they will drop the basketball info after everyone loaded up on football seat fees. Basketball won't change. The seats you have now are yours for the foreseeable future. You might even be able to upgrade. I give it one, maybe two years, before this comes to basketball. Quote: Q: Will the ODAF require Seat Membership payments for ODU Basketball? A: At this time the ODAF will only implement the seat membership payment for ODU Football. According to the article there will still be some sideline seats available without a PSL, and some for $200. I think this is a good thing. Especially for less committed fans. Same here. The landscape is shifting and I think the staff is doing a very good job reacting to it. No complaint here. I have a complaint. If you have to pay EVERY year they should NOT be called Permanent Seat Licenses. They should be called ANNUAL SEAT LICENSES. (10-31-2018 10:46 AM)ODU True Blue Wrote: I have a complaint. If you have to pay EVERY year they should NOT be called Permanent Seat Licenses. They should be called ANNUAL SEAT LICENSES. They aren't calling them PSLs. They're calling them seat memberships. (10-28-2018 08:55 AM)GotLabradors Wrote: Are any of y'all actually contacting ODAF via phone and email to chat with the reps about the state of football versus your willingness to donate/purchase season tickets for football and basketball? I met one of the ODAF reps prior to the Marshall game while tailgating in the black lot. The indication from that rep seemed to be that the marketing for ODAF/athletics was absolutely atrocious and that ODAF/athletic dept. felt like they were working with one hand tied behind their back. Any idea what accounts for this? I always thought Debbie White was the problem, but now I'm having second thoughts. Things seem to have gone south since she retired. What I can tell there is NO integration between ODAF, VP for Student Engagement and enrollment services, and Athletics. Everything seems disjointed with no integration from when a student enrolls to athletics or ODAF. One clear example is....Most other Universities I am familiar with the moment you enroll at the University you are an immediate member of the Student Athletic club since a student pays a student Athletic fee. Then when a student graduates they are automatically enrolled in their Alumni version of the Athletic Club (ODAF). At ECU every student is a member of the student version of the Pirate Club. Nothing like that exists at ODU so there is no pride, engagement, etc. developed for Athletics over the 4+ years while in school that carries directly into Alumni Athletic group. I just don't get why there is a gap. More prideful and engaged students leads to a higher graduation rate and then more giving alumni upon graduation. 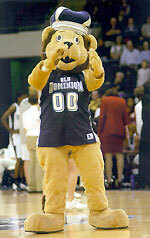 ODU hasn't had a student Athletic club since ODAF killed it 3-4 years ago. Still waiting on an explanation on that from one of Dr. Chandler's 1st posts. Even before that, I was a Monarch Maniac for all four years i was enrolled. Never received a targeted anything talking about ODAF after graduation. Aside from losing Monarch Maniacs, this has to change! A buddy from work and I met with our ODAF rep last night for dinner. I think there will be a lot of tailgate spots opening up next year, or the year after. I think people will be cutting back on ODAF donations (Because of You) to pay for Membership fees. We're not drinkers and we only tailgate if someone is getting my other two seats. So it looks like I'll sacrifice the tailgate spot to get only 2 good seats and then maybe pay $50 for the yellow garage. Though for year 1 of new stadium I might keep the donation up to make sure I get good seat selection time. Then cut back in 2020. Speaking of 2020, not sure if it has been said here or not, there will be NO NEW scoreboard for 2019. It will go up in new location over/behind the end zone seats in 2020. That is what my rep told us. (11-02-2018 06:59 AM)ODU True Blue Wrote: Speaking of 2020, not sure if it has been said here or not, there will be NO NEW scoreboard for 2019. It will go up in new location over/behind the end zone seats in 2020. That is what my rep told us. I need to speak to ODAF. Is their intention for current season ticket holders to pay the incremental seat fee and maintain their current donation level for tailgating and blue room access? Seems like there should be an offset. And why wouldn’t this same concept apply to basketball? (11-02-2018 09:39 PM)ODUDJ96 Wrote: I need to speak to ODAF. Is their intention for current season ticket holders to pay the incremental seat fee and maintain their current donation level for tailgating and blue room access? Seems like there should be an offset. And why wouldn’t this same concept apply to basketball? Because if you offset the football license fee by lowering your contribution then you hurt yourself for basketball seats. They aren't reseating for bball. They will after next season.